Well, we have so much to celebrate over these two weeks. Imagine balloons, party-poppers, fizzy drinks, nuts, chips and hamburgers! What on earth are we celebrating you may well ask? Remember back in January 2012 I interviewed a young man by the name of Erik? I had “met” him through an interview he did on Tara Lazer’s Blog and later won a beautiful picture of a pup from his blog. 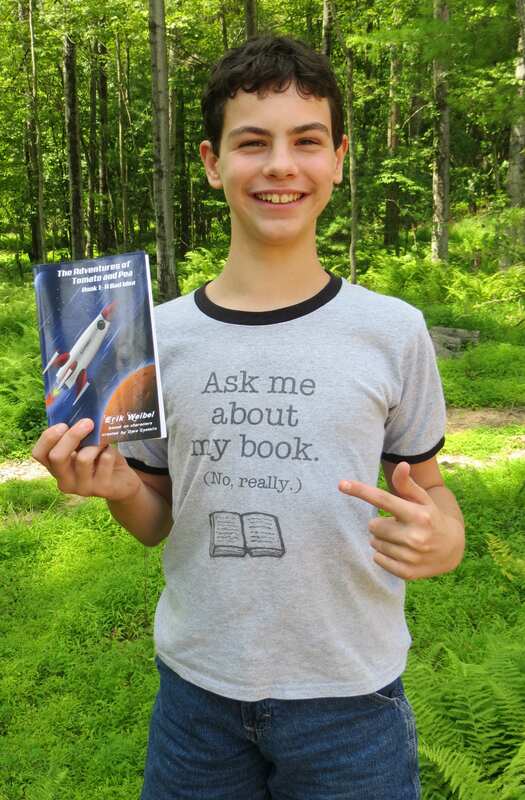 What followed was an amazing interview “New Kid on the Block” here on my blog, in which we learned that what I thought was a smart fourteen year plus young man who had a mission to one day be published, was in fact only ten years old. Erik had started writing his first story a year earlier, had his own column in a local paper and ran a very comprehensive book review blog. No mean feat for a kid of only ten years old, that’s for sure. We learned how he goes about preparing for interviews with authors to using the clever Hamburger analogy for writing reviews and drafts. (So Hamburgers had to be on the menu for celebrating, naturally!) What impressed us (and I mean many in the online writing world) that had come to know of him, was his humility, dedication, his ability and talent in the use of his imagination and writing, and his unwavering determination. Back then we knew this Kid was going places and one to watch. I am so proud to be able to announce the release of his FIRST PUBLISHED book…. Synopsis: From the back page… For years the evil villain Wintergreen has tried to destroy super crime-stopper, Tomato, and his sidekick, Pea, and take over planet Oarg. In a plan gone wrong, Wintergreen traps himself along with his arch-nemesis in a runaway rocket ship that crashes on a strange planet called #EAR-TH”. Now these perennial enemies must learn to work together to survive the dangers on this strange world. Hungry birds, enormous snakes and the giant inhabitants of EART-TH stand between this brawling bunch of aliens and finding a way home. Why I love it: I was so delighted to get a copy of this book in the post, a real treasure. The first thing that struck me was the lovely crisp bright cover. The next thing that struck me was the wit and clever word play that drew me in the excitement of what was to come. Like an animated movie packed with action one continues to turn the page to see what befalls Tomato and Pea. To be honest with you, I never used to be one to read space-type stories , (until I tried writing one recently), but I found myself chuckling away and glued to this story, eager to know what the evil Wintergreen would do next, and the unusual names of the characters and discriptions was intriguing, my favourite being Poppy, (sensitive, always being yelled at, and very inquisitive…awww!) I also love the themes this expressed, friendship, trust and second chances. It is obvious Erik has a great imagination and has learnt the skill of writing well. He has listened and headed instruction from his mentors, researched, and proves that with hard work and dedication anything is possible if you believe you can achieve it. And what a brilliant achievement this is Well done! This book is obviously the first of many we will see from Erik, there is no stopping him now, and I look forward to reading many more. Congratulations Erik! You can buy the book at:. Great post, Diane. I’ve tried and failed to write a Space story too. Kudos to Erik for doing it in style! I think you have to have a great imagination to write a space story and really think outside of the box. Sounds like Erik has done that and added a lot of fun word play and humor! Hi Pat, yes I agree with you. His book is very witty and clever. A wonderful achievement. Thanks for your comment. I am also a huge fan of Erik! His book reviews are right on and he is so multi talented. Now he has a book published. Your review of his book is perfect. Thank you Darlene. You are so right, we are very lucky to have such a talent among us. I love his blog. Thank you so much Ms. Tulloch! I’m glad you like the book! I think you’d write a great Sci-Fi book! 😀 I’m Tweeting and Facebooking this! Fantastic review for a wonderful book. We agree with you and loved Erik’s book as well! Thank you so much for your lovely comments. I’m sure Erik will be thrilled to know this. Welcome to my blog and do stay awhile. I am so delighted to “meet” you. Enjoy your weekend. Erik is creating a lovely stardust trail in the blogosphere! Isn’t he just! And who could blame anyone. Such a cool dude and talented too. 😉 We will learn a lot from him. Thanks Julie! Space is a frontier I have yet to cross into in my writing. i am so impressed Erik has. Great review, Diane! Believe me it isn’t easy Joanna. I have tried. Thank you for your lovely comment. Nice to see you here. Erik’s book is really going places! Like you, I just couldn’t wait to see what would happen next. Great review, Diane, and so glad you recapped your interview with him. 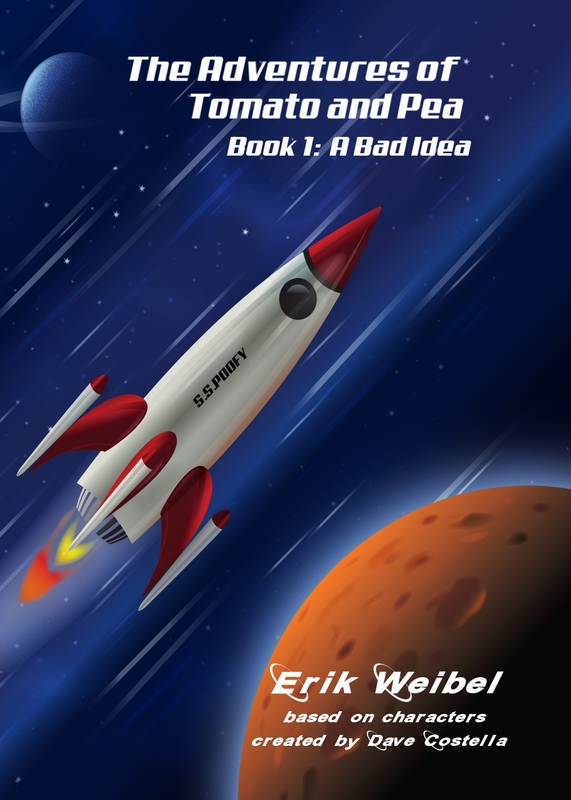 If your readers are interested, they can pop over to my blog for a chance to win a copy of Erik’s book. Thanks, Beth! I meant to add to my comment on your blog, to leave me off the giveaway as I have a copy of this book. Thanks again! Thanks Diane, great review. I think Erik is an awesome person. I can’t wait to read the book! Good luck with it! Thank you Kathy, for your lovely comment! Nice to see you here. Agree Erik is awesome! Super review, Patient Dreamer. (Diane, rather, as I’ve gathered from the comments. Nice to officially meet you. ;)) I can’t wait to see what Erik comes up with next. Nice review! I’m reading Erik’s book and it has lots of fun humor! I’m getting my laughs!